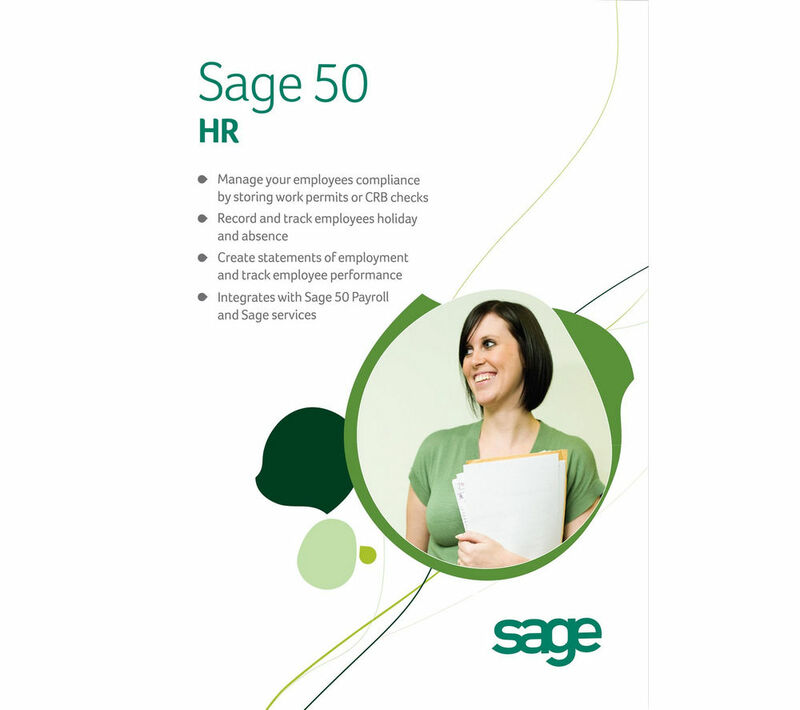 Manage your employee information on an intuitive system when you use Sage 50 HR. Designed to be used by up to 10 employees, it allows you to keep on top of employment legislation, absence and licences. It can also be integrated with Sage 50 Payroll software for a complete business solution. Whether you're storing contact details, employment checks or proof of I.D, you can keep all the important information in one place. This makes it simple to find information when you need it. Keep on top of employee legislation such as proof of identity and right to work, and deal with issues such as disciplining. You can also record and manage holidays, sickness, training and other absence. When you use Sage 50 HR you can automatically calculate how much holiday your employees are entitled to, based on their start date and number of hours worked. You can accurately record holidays in hours and days, letting you easily keep track. It also gives you the ability to manage time off for other events such as maternity, paternity, adoption breaks and training days. There is even a facility to generate charts and analyse absence trends. This can help you to plan your resources effectively and identify issues which need to be dealt with. Record training or licences to keep an accurate record of your employees' skills. Whether it is an HGV licence, a gas safety check or a professional membership, you can track all of the skills of your workforce, perfect for offering a great service to your customers. Monitor this information and can even keep up to date with qualifications which need renewing thanks to automatic reminders. Sage have your business well covered with one year of SageCover included with 50 HR. SageCover provides you with telephone and email support from Sage's technical experts, who can offer help and advice with your software. You will also benefit from the online HR Advice service, which provides you with templates for every need, including policies, forms and checklists. You can adapt these to suit your business. Keep up to date with the latest employment rules and regulations with ease thanks to Sage's support. Keeping track of your employees is simple when you use the clever Sage 50 HR.